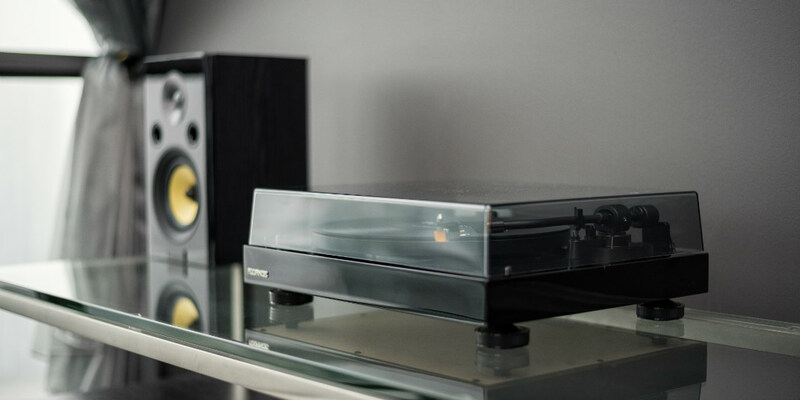 Hi-Fi turntables are an amazing way to marry old technology with new technology and the Fluance RT series looks very promising if you’re interested in such things. Vinyl is making a return to the mainstream and to help make those records sound even better there are the RT80 and RT 81 Hi-Fi turntables from Fluance. The company is running a Kickstarter to get these beauties in production and they’re at $35K of their $45K goal. 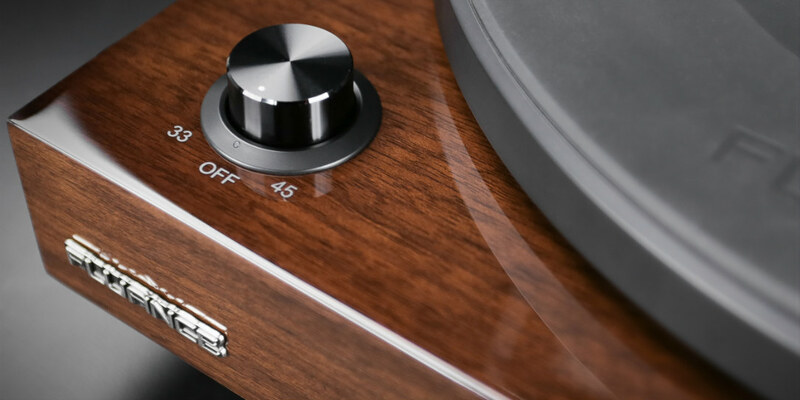 Here’s a quick run down of some of the main points of these two slick looking turntables. UPDATE: These are now available for purchase on the Fluance website! Crafted with audiophile-grade MDF wood cabinet and includes isolation feed and a die-cast aluminum platter to reduce reverberation and leave listeners with a pure stereophonic sound. NIAGARA FALLS, ON – (March 31, 2016) – Fluance, engineers of Serious Performance, audiophile-approved home theater systems and speakers, is reinvigorating consumers’ love for vinyl with its new RT80 and RT81 turntables. Fluance has made waves in the audio industry recently with its Fi70 and Fi50 Bluetooth speakers, and Signature Series home theater system. Now, the company is combining its extensive experience in audio engineering, signature sound and impeccable design to introduce its first turntables that will excite consumers with its high-fidelity audio and affordable price tag. Engineered with only premium components, the high-fidelity, belt driven RT80 and RT81 produce a pure analog listening experience that authentically recreates artists’ performances. The RT80 and RT81 play traditional LP and EP vinyl albums (33 1/3 or 45 RPM). Whether a user is dusting off a classic album from their parent’s collection, or discovering vinyl for the first time with Adele’s 25, Fluance’s new turntables will transport them through a stunning adventure down the sonic spectrum. The RT80 incorporates an AT91 Audio Technica needle that produces rich sounds. Users will rest in the grooves of their favorite vinyl records at a mere 2.0 grams of tracking force. The slightly more advanced RT81 features an AT95E Audio Technica needle. Both included styluses are renowned for their freedom from noise and distortion, clarity on musical peaks and channel balance. The balanced aluminum S-Type tonearm ensures the needle is rested deep in the record’s groove, producing every audio detail indistinguishable from the original record and creating pristine playback. The fluid movement of the bearings within the tonearm, coupled with its advanced anti-skating system, caresses each record to conserve and protect a user’s beloved vinyl collection. The RT80 and RT81 are crafted with Fluance’s proprietary audiophile-grade MDF wood cabinet, which incorporates isolation feet and a die-cast aluminum platter. This results in a significant reduction in reverberation, leaving listeners with pure stereophonic sound. 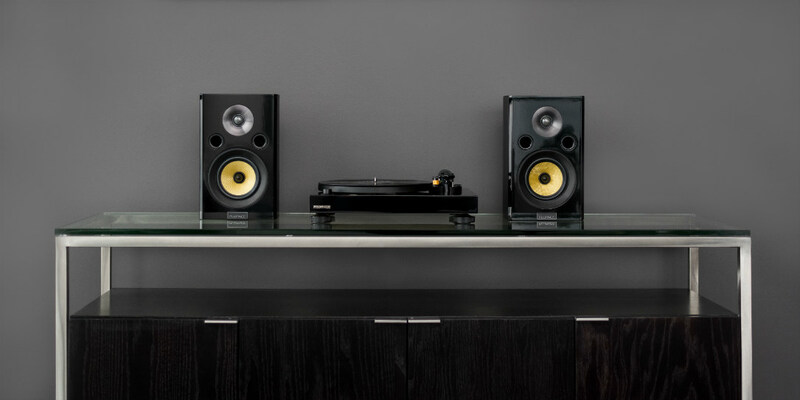 The RT80 boasts a lightweight, hollow cabinet design, while the RT81 is built with a fully solid body cabinet to further eliminate vibrations. Additional premium components include high-quality Texas Instruments preamp and gold plated RCA line outputs for captivating signal clarity, and a ground terminal that ensures warm, true sound. The RT80 and RT81 are available now for pre-order on Kickstarter for $195 CAD/ $150 USD and $265 CAD / $200 USD respectively. Fluance expects to ship to backers and be fully available by May 2016 for $199 and $249 respectively. For more information, please visit Fluance’s RT80 and RT81 Kickstarter page. Join the vinyl movement on social media with the #RespectTheRecord hashtag. For more information on the RT81, RT81 and all of Fluance’s high-quality audio products, “like” Facebook.com/FluanceSpeakers and follow @Fluance. Hit the link below to support this Kickstarter and let us know in the comments below what you think of Hi-Fi turntables. 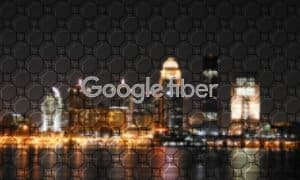 Or hit us up on Twitter, Facebook or Google+.